One of the most significant changes to affect the industry in many years is the introduction of WLTP. 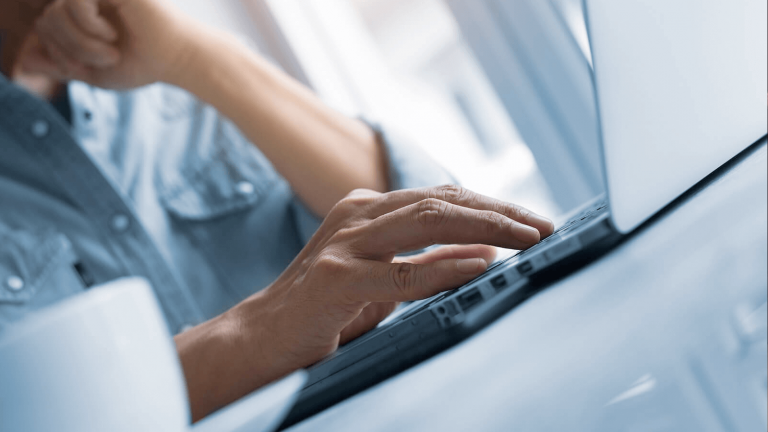 Read on to discover why and when it’s being introduced, and what it could mean for you. As more information becomes available we’ll update this section, so be sure to check back. Worldwide harmonised Light-duty vehicles Test Procedure (WLTP) is a new test procedure for the measurement of fuel economy and emissions data. It has been introduced to give a more realistic view of the fuel economy and emissions performance achievable in real-world driving conditions. It supercedes the previous NEDC (New European Driving Cycle) test procedure. The driving cycles used for the NEDC test – the familiar urban, extra-urban and combined – have been replaced by a set of driving ranges – low speed, medium speed, high speed, extra-high speed and combined – that more closely represent how vehicles are used today. These driving ranges were determined following the analysis of data collected from real journeys from across the world. Since the WLTP methodology is fundamentally different to NEDC, it isn’t possible to meaningfully compare one set of figures against the other. Recognising this difficulty, the EU has developed a formula which translates the WLTP figures into NEDC-correlated versions. This will allow comparison between vehicles type-approved under the different regulations, but it’s important to bear in mind that these figures will have been generated under the WLTP test conditions, and as such are likely to be higher. WLTP remains a laboratory test, in order to guarantee consistent test conditions and therefore allow meaningful comparisons between vehicles. We are working with our vehicle and data partners to bring you this new information in the clearest way possible. It’s important to understand that the WLTP methodology doesn’t change the real-world fuel economy or emissions that a vehicle produces. However, it will impact whole-life cost calculations: the calculated fuel costs will increase but, on a positive note, become more accurate. It is also likely to impact employees’ benefit-in-kind costs, because the NEDC-correlated CO2 figure will have been generated under the WLTP driving conditions. Volkswagen Financial Services | Fleet (VWFS | Fleet) has developed a calculator that allows you to see the possible impact on your company fleet. Where a company vehicle is made available for an employee’s private use, employers’ Class 1A National Insurance Contributions will also be affected. It’s also worth considering the implications for your company’s vehicle choice list if this is based on CO2 emissions: doing nothing could mean that certain vehicles suddenly fall outside of the parameters. Your Volkswagen Financial Services | Fleet Account Manager can offer any advice you need. For all currently registered vehicles and for new registrations before 1 September 2018 the NEDC emissions figure is used to calculate tax, so there will be no impact on these vehicles. For all new registrations from 1 September 2018 to 5 April 2020 the NEDC-correlated figure will be used to calculate tax. Drivers could see an increase in their BiK tax costs because the NEDC-correlated figure is calculated from the WLTP driving cycles. This will be particularly noticeable for drivers replacing vehicles on a like-for-like basis. For all new registrations from 6 April 2020 tax will be based on the vehicle’s WLTP CO2 emissions figure. Government has made no announcement so far regarding any changes to the tax banding structure to allow for the likely higher emissions figures. Volkswagen Financial Services | Fleet will update this information as soon as it becomes available. Drivers might also see a change to the vehicles available on their choice list, though this will depend on whether the company adjusts its list to allow for the higher CO2 values. No vehicles registered before 1 September 2017 are affected by the introduction of WLTP. From this date, all new passenger car types presented for type approval must have been tested under the WLTP regime. From 1 September 2018, all new passenger cars registered must have type-approved WLTP figures, as must all new LCV types. 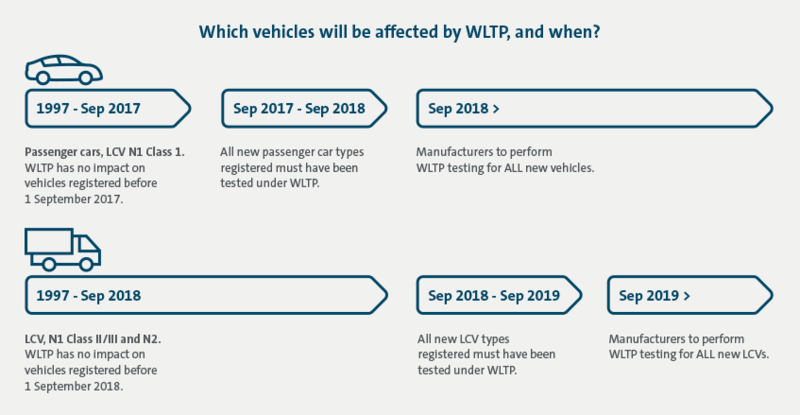 From 1 September 2019, all new LCVs registered must have WLTP figures. Up until 5 April 2020, all vehicles will be taxed based on their NEDC or NEDC-correlated CO2 emissions figure. This is the case for both Vehicle Excise Duty (VED) and benefit-in-kind taxation. Any vehicle registered up to this point will continue to be taxed on this basis for the balance of its operating life. All passenger cars registered after this date (i.e. from the start of 2020/21 tax year) will be taxed on the basis of their WLTP CO2 emissions figure. How will WLTP affect my existing fleet of vehicles? The introduction of WLTP will have no impact on any vehicles you are currently operating. When a vehicle is first registered it has a CO2 emissions value associated with it; this value will not change for the life of the vehicle. Its future tax treatment for benefit-in-kind and Class 1A National Insurance purposes will continue to be based on this figure. From 1 September 2017 – all new types of passenger cars must be issued with WLTP and NEDC-correlated data. From 1 September 2018 – all new passenger cars registered must be issued with WLTP and NEDC-correlated data. All new types of light commercial vehicles must be issued with WLTP and NEDC-correlated data. From 1 September 2019 – all new light commercial vehicles registered must be issued with WLTP and NEDC-correlated data. From 6 April 2020 – the basis for taxation for all new vehicles registered moves to WLTP. How will cars ordered before 1 September 2018, but registered after this date, be treated? The important date is the date of first registration, not the date the vehicle was ordered. So, for any car that is ordered before 1 September 2018 but delivered after this date (up to 5 April 2020), the NEDC-correlated CO2 figure is the one that will be used for taxation purposes. What’s the difference between the tests? The NEDC test was introduced in 1992 and based on theoretical driving conditions. In subsequent years, there have been significant changes in vehicle technology and driving patterns, and the figures generated have become less representative of what is attainable in the real world. The WLTP test has been introduced to produce a set of values that are much more representative of real-world fuel economy and emissions. The driving cycles used have been developed following the analysis of data from many thousands of real journeys from across the world. The duration of the test has been increased from 20 to 30 minutes; the distance travelled from 11km to 23.25km; the average speeds have been increased, and the amount of time spent idling has been reduced. The other significant change to the test is that the impact of vehicle options, such as wider tyres or heavier items such as leather trim, is also considered. This is why you will begin to see low and high values for the fuel economy and emissions data. It’s important to note that, whilst the driving cycles are based on the analysis of real-world journeys, the tests themselves are still performed under laboratory conditions. This is to ensure that valid comparisons can continue to be made between vehicles. Can I compare NEDC figures against WLTP figures? Because the test procedures are very different it is not reasonable to directly compare NEDC against WLTP figures. Recognising this difficulty, the EU has developed a formula (known as CO2MPAS) that takes the WLTP figures and converts them to a set of NEDC-correlated figures in the traditional urban, extra-urban and combined format. These are intended to reflect what the vehicle would have achieved under the ‘old’ NEDC test, and thus allow comparisons to be made. 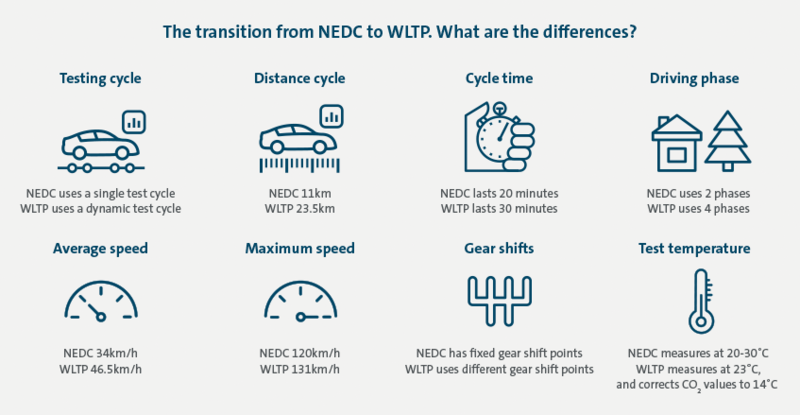 It’s important to note that these figures are based around the WLTP driving cycles, so may not be identical to those that would have been achieved under the NEDC test itself. They also do not include the fitment of any options. How much difference will there be between NEDC and WLTP figures? Expectation is that fuel consumption and CO2 emissions values are likely to be increased by approximately 10-20%, though certain types of vehicles will be more heavily affected than others. Hybrids and plug-in hybrids are likely to show a greater increase due to more emphasis being placed on ‘open road’ driving, and so the benefit of stop/start systems is likely to be reduced due to the reduction in time spent idling. Volkswagen Financial Services | Fleet can help you understand any impact on your fleet, and our all-marques offer means we can supply you with the right vehicles to meet your needs. How will I know whether I’m looking at NEDC, NEDC-correlated or WLTP figures? The latest guidance is that all published fuel economy and emissions data should continue to reflect the NEDC or NEDC-correlated figures. From 1 January 2019, published fuel economy figures should switch to the WLTP structure. Published CO2 emissions data should switch to WLTP on 6 April 2020 to coincide with its usage for taxation purposes. It is anticipated that manufacturers will identify which test regime their data has been measured under. We are working with our vehicle and data partners to bring you this new information in the clearest way possible. Is there any impact on electric vehicles? Electric vehicles will also be assessed under the new WLTP regime. Whereas under the NEDC procedure they were given a single range figure, with WLTP they will be issued with two range figures: combined and a new city range. As with petrol and diesel vehicles, this is intended to give a better representation of the sort of range available in the real world. I’ve heard of an RDE test. What is this? The RDE (Real-world Driving Emissions) test is a companion test to the WLTP regime. As its name suggests, it is a test carried out in the real world rather than the laboratory, and its intention is to ensure that the figures achieved under laboratory conditions are repeatable in the real world, with a degree of tolerance. It too has a phased introduction. RDE step 1 allows a vehicle to emit up to 2.1 times the amount of NOx allowed under laboratory conditions, whilst RDE2 reduces this allowance to 1.5 times. This is particularly important for diesel vehicles because, in the Autumn 2017 Budget, the Chancellor announced that any diesel vehicle that is certified as meeting RDE2 will be exempt from the 4% diesel surcharge in benefit-in-kind. It will also be exempt from the 1-band increase in first year Vehicle Excise Duty. Currently, no vehicles have received this certification. Will tax increase due to the introduction of WLTP? Up until 5 April 2020, the NEDC and NEDC-correlated CO2 emissions figures will be used for taxation purposes so there is no reason to suppose that tax costs will increase above what is already known up to this point. From 6 April 2020, taxation will be based on the WLTP CO2 emissions figures. If government doesn’t make any changes to the current tax tables then it is likely that there will be increases in benefit-in-kind, Class 1A National Insurance and first-year Vehicle Excise Duty costs. However, no comment has been made on this subject in any budget statement to date, so the situation remains uncertain. We’ve developed a calculator that will allow you to see the impact on Vehicle Excise Duty and drivers’ benefit-in-kind costs due to an increase in CO2 emissions under the new WLTP regulations. It also demonstrates the increase in forecast fuel costs within a whole-life cost calculation, which will more closely resemble your real-world fuel costs.